Yosemite National Park is located in the central Sierra Nevada of California. It takes approximately 4 hours to drive to the park from San Francisco. 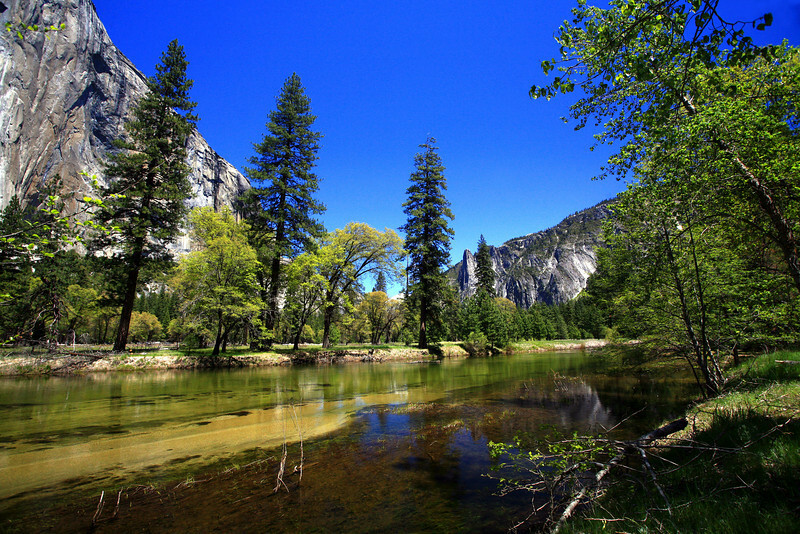 The park covers an area of 761,268 acres and over 3 million people visit Yosemite each year. Most of my travels to Yosemite center around Yosemite Valley. It only represents one percent of the park area, but this is where most visitors arrive and stay. El Capitan, is a prominent granite cliff that looms over Yosemite Valley, is one of the most popular rock climbing destinations in the world. Granite domes such as Sentinel Dome and Half Dome rise 3,000 and 4,800 feet (910 and 1,500 m), respectively, above the valley floor. Yosemite is also famous for its high concentration of waterfalls in a small area. Located in Yosemite Valley, the 2,425-foot-high (739 m) Yosemite Falls is the highest in North America. Also in Yosemite Valley is the much lower volume Ribbon Falls, which has the highest single vertical drop, 1,612 feet (491 m). Perhaps the most prominent of the Yosemite Valley waterfalls is Bridalveil Fall, which is the waterfall seen from the Tunnel View viewpoint at the east end of the Wawona Tunnel. Wapama Falls in Hetch Hetchy Valley is another notable waterfall. Hundreds of smaller waterfalls also exist in the park.